Near the end of the game, you must sabotage. 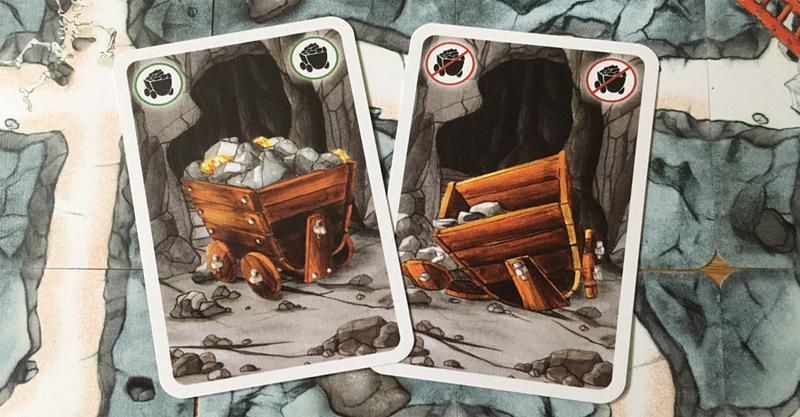 Using a rock fall card on an important tunnel is a good plan. You can also block all other players (except suspect-saboteurs). Three or four tiles from the end, you should act aggressively. The last few connectors are where you can really rip it up by placing "hard to finish" cards. Always help the other players. Check out the players who are discarding cards often at the beginning of the game. Never build too many crossroad paths so you are not blocked when a tunnel collapses (by a saboteur). Never block players as long as you are not sure it are saboteurs. Try to get the gold first if all looks fine for the other gold diggers.